Need a good reason to declutter? Getting rid of all the junk piling around your home could have a profound and uplifting effect on your life and bank account. The following five clutter facts share how a tidy home can change things for the better. Got a lot of stuff stuck on your fridge? Welcome to the clutter bug club. A study by UCLA anthropologists reported that the average American fridge has around 52 different items plastered to it, and if yours is junked up, it's a tell-tale sign that the rest of your home is cluttered as well. And that's bad news for your bank account. The same study also revealed that clutter is connected to buying more stuff than you use, which contributes big to those disorderly heaps taking up space in your home. Do you have piles of stuff cluttering your office? Well, those stacks of files and discarded takeout cups may have cost you a job promotion. And it seems well-founded. A recent survey revealed that a whopping 77 percent said that their office clutter reduced their productivity. Another 50 percent agreed that their untidy office slashed motivation levels while also doing a number on their state of mind. Now there's scientific proof that a messy abode is truly a bummer—especially for women. A study by the University of California revealed that while women’s stress hormones spiked when dealing with clutter, their male counterparts didn't. 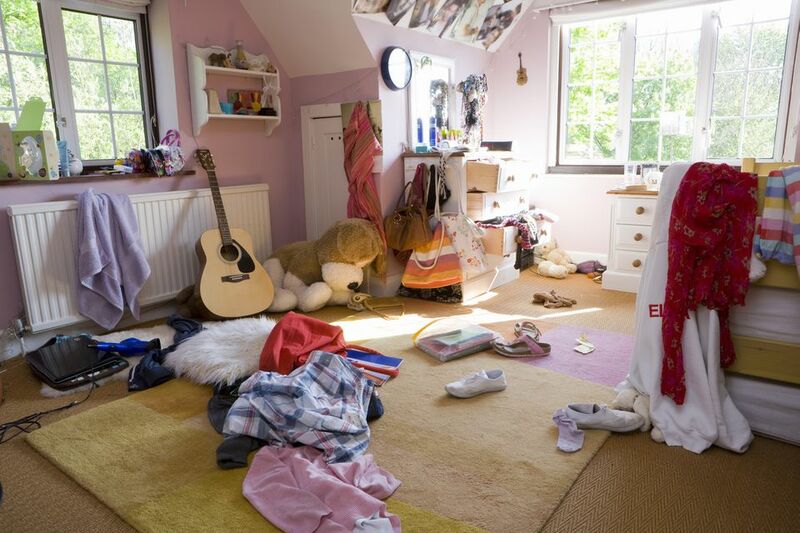 The study's findings suggest that men and women view clutter differently. For women, an uncluttered household is one that’s also satisfied and happy. For men, the accumulation of stuff is a source of pride even if it's all kept in disorderly heaps. It’s no wonder why two recent surveys concluded household clutter causes a lot of conflict between married couples. Think you got nothing to wear? Then your closet may be busting at the seams with ill-fitting clothing. A whopping 80 percent of the stuff we wear come from a mere 20 percent of our wardrobe. And in case you are holding onto to clothes that you think will fit better once you lost a few pounds, consider this. Our body weight can move around from year to year, so even if you dropped the weight, some of your clothing might not work for your current body type. Now do yourself a big favor. You can make room for clothing that will look great on you now by donating the stuff that doesn't fit. Einstein's desk was always a cluttered mess. Did his untidiness fuel his creativity? Maybe. A scientific study by researchers at the University of Minnesota revealed that clutter could boost creative thinking and inspire new ideas. However, they noted a few downsides. People in messy workspaces were less generous than those in clean ones. They also made unhealthy food choices. And in case you believe that random mess on your desk means you're super gifted, sorry! A genius's mess is methodical, not haphazard. We think the woman featured here has the perfect solution. All of the inspiration stuff in this office is kept in neat and tidy piles. What Exactly is Hoarding? And How Can I Be Cured?